But it's being portrayed more as a "partnership"
Following recent rumours, Drake has officially announced his Las Vegas residency. Drake will set up in Las Vegas over the course of 2019 and 2020, when he will perform at least five shows at Vegas' XS Night Club as part of a new partnership with Wynn Las Vegas. So far, the confirmed dates include May 4 and May 18. 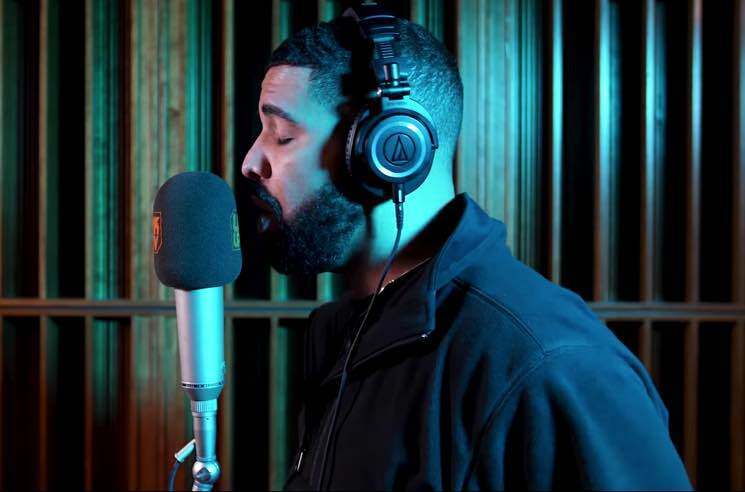 While XS Night Club has a capacity of about 4,800, this will provide fans a chance to catch the artist in a more intimate setting — at least by Drake standards. "In the fourth quarter of last year, we pursued a relationship with Drake and his management team to do something different in Las Vegas — not the traditional residency," Wynn's Alex Cordova told Rolling Stone. "A partnership will be the right word [for this relationship] because this isn't just about performing at the venue. This is more about how we bring Drake into the concept of Wynn Las Vegas. We're looking at all possible environments within the hotel and working with Drake and Drake's team to see exactly how he can lend assistance in curating these experiences." Beyond the initial May 4 and 18 dates, no other shows have been confirmed. While rumours had circulated that Drake's deal with Wynn was worth more than $10 million, the company refused to comment.